These months Spain seeks something other than "good men". And luckily it has encountered keen players for this game. In Murcia a seed has been planted in a team that starting September will be on the mission of getting Spain through to the 2017 European Championship, in order to fight for the title like in 2011 and 2013. 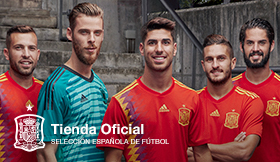 Throughout the history of football there are player who were looking forward to raising their hand: one was, Gerard Deulofeu, who into the first fifteen minutes assumed the role as captain and from the left created chances for Spain. First and foremost, however, it was Munir who netted the ball in "house style" goal. Spain's number seven had other opportunities, a one on one, and a foul in the second hand, which the Norwegian keeper skillfully blocked. Regardless of the figures marked on the scoreboard, advantageous in the first quarter of the game, Spain left the feeling of being fully in control of the match. With José Rodríguez and Óliver Torres in creative terms and with Denis' hook, both bands were covered by Samu and Deulofeu generating chances for the forwards on several occasions. Despite not being put to the test by a naïve Norwegian squad, Basque goalkeeper, Kepa Arrizabalaga was ready whenever necessary, particularly in the first half. 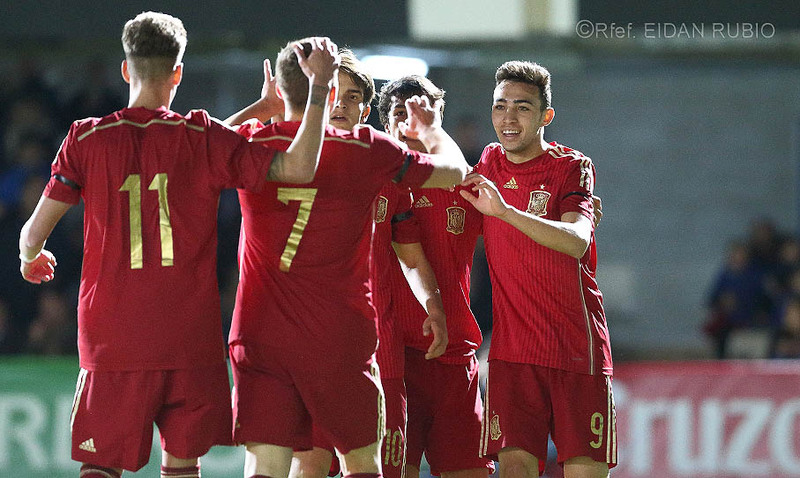 When the match resumed two newcomers made their debut with the Spanish squad: Dani Ceballos and Iñaki Williams started off in the second half for Samu Castillejo and Munir. The Atheltic player positioned himself as forward and the Betis footballer added to the chances. With the team's changes Spain's rhythm did far from slow down against a resistant rival squad, who sought stopped, loose ball actions to create chances on Kepa. Rather on the contrary, Celades' men seemed comfortable as the timer went on. In the closing minutes Deulofeu, Óliver and Denis created a magnificent one-touch play along the centre where the Galician shot out. Williams was close to volleying a precise cross from Manquillo. Marco Asensio was the last newcomer to join the team, subbed in for Deulofeu, the Majorca footballer was proof of the trust that the coach places on his players. Spain resolved with solvency in its first friendly of two. The team will head back to work on Friday and will depart on route to León on Saturday where on Monday it faces its second tough rival, Belarus.